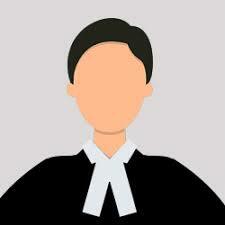 We help you to consult and hire the best Supreme Court & High Court Immigration lawyers in Pune. Use filters to narrow your search and find the best advocate in Pune, whether its a family dispute or divorce lawyer, property lawyer, employment or labor court lawyer, criminal lawyer, recovery or cheque bounce lawyer, taxation or corporate lawyer, or a lawyer expert in any other field of law. Need help to find the best Immigration lawyers in Pune? The objective of immigration is to acquire citizenship or nationality of a particular country. Matters of immigration are complex in nature as it involves foreign international concerns. For any immigration related matters like a green card, visas etc. Use Lawtendo to hire best immigration law lawyers. Avail this legal service at our fixed charges. In the modern context, it refers to the movement of people from one country to another to which they are not citizens, for reasons like push and pulls factors including war, disasters, poverty, and job, political, social conditions respectively. CONSTITUTION OF INDIA: With respect to immigration matters like citizenship, nationality and domicile etc. punen laws have provisions under the constitution. Article 5 to 11 lays down provisions for the status of persons as citizens of pune, the continuance of such citizen and right of the parliament to enact laws and to add or terminate any provision with regard to citizenship and related matters. THE IMMIGRATION (CARRIERS LIABILITY) ACT 2002: this act basically targeted marine immigration of persons where a large number of them arrived without any official documentation, which was contravening the provisions of passport act of 1920. This act possesses a penalty of rupees one lakh to be imposed on the carrier with giving him a chance to explain for contravention of the provisions of this act and rules made under the same. THE IMMIGRANTS (EXPLUSION FROM ASSAM) ACT, 1950: through this act government was empowered to expel certain class of immigrants from Assam. This was to protect the interests of the general public of pune and ST’S of Assam. WHAT WE DO: any movement of persons from one country to another even on a temporary basis ensures the involvement of immigration rules. Since it is a branch of international law where it involves a foreign nation and its citizen, the provisions are stringent and complicated. Problems like visa are not granted on arbitrary grounds, or you need to marry a foreign citizen for acquiring the citizenship of the country of which he is a citizen, illegal marine immigration etc. arises. This area of law is complexed and thus requires to be handled by specialists. Contact Lawtendo to hire the finest immigration laws attorney in your own pune. We have a team of highly educated, experienced and skilled lawyers in this field which will provide best legal services and advice with immigration and its connected issues like application, filing petitions and defending if accused etc. Contact Lawtendo today and easily connect with finest attorneys in pune.